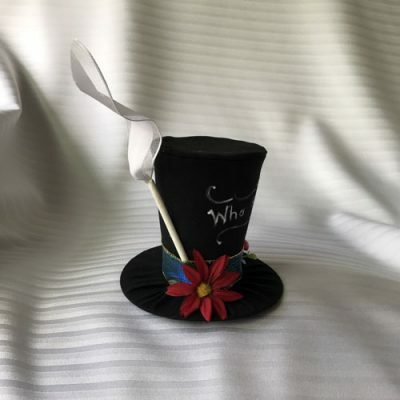 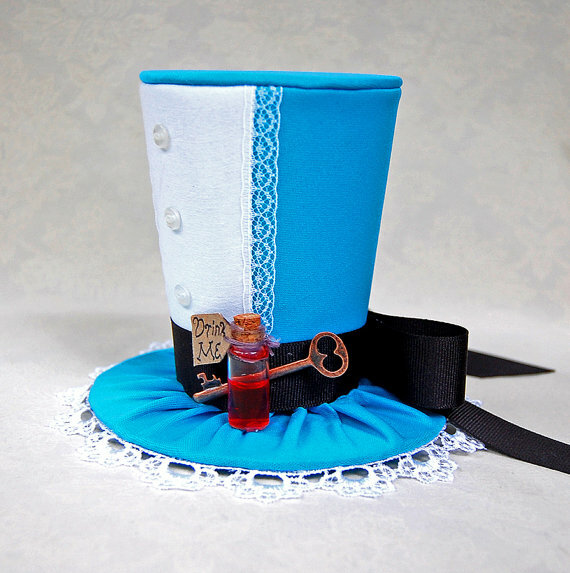 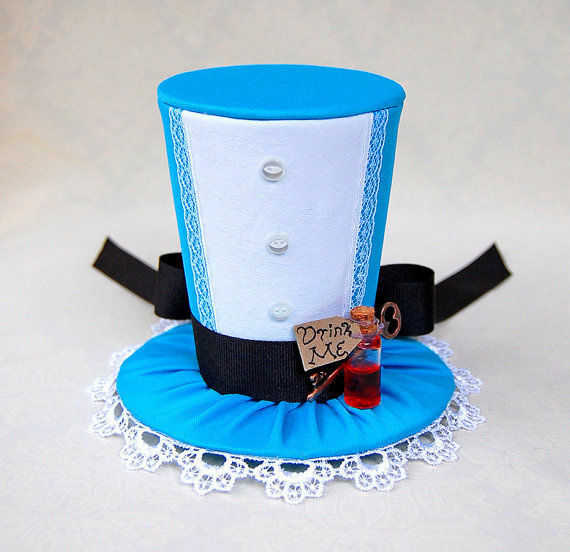 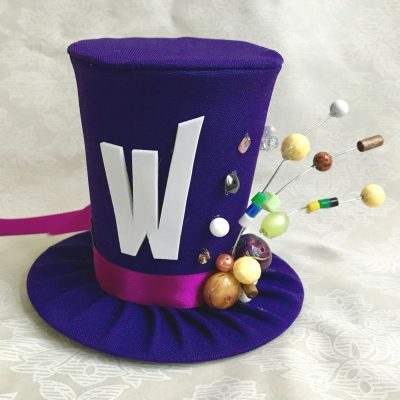 This Tiny Top Hat is a fun, whimsical, and adorable hat that adds charm to any outfit! 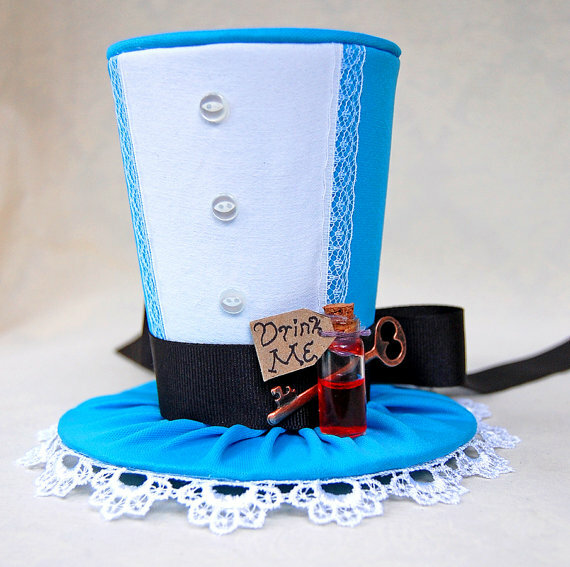 Perfect for your next mad tea party. 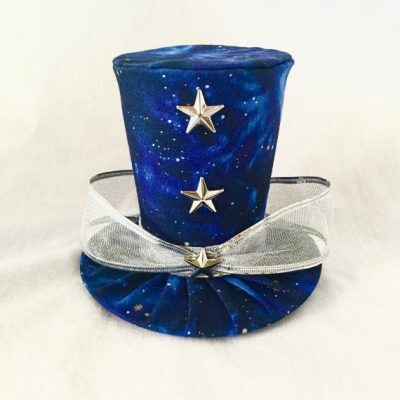 All of our hats are made from scratch with pride. 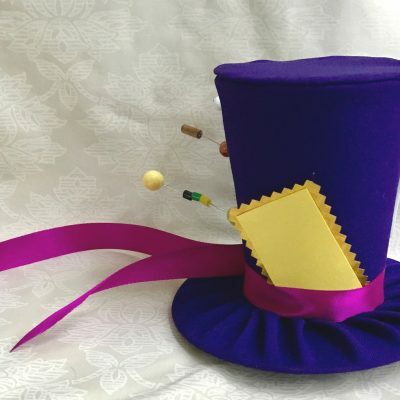 These are not cheap disposable hats, and will last for years. 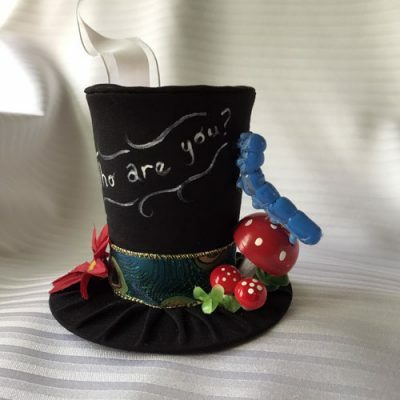 The hat has a black elastic headband and removable clips (for extra stability) attached to the bottom so you can wear it on your head. 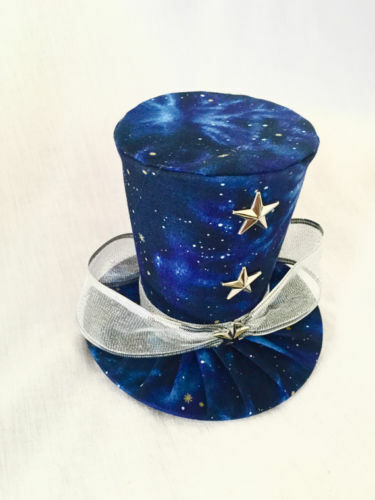 The base of the hat is roughly 5″ in diameter.